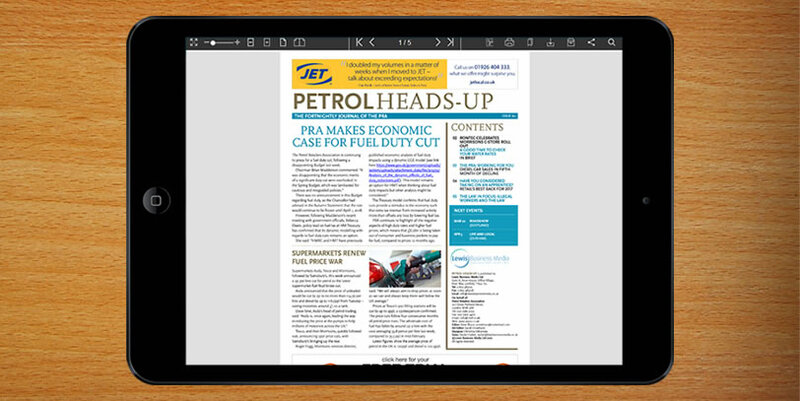 Petrol Heads -Up is the fortnightly electronic newsletter of the Petrol Retailers Association (PRA). Since November 2014 it has been produced and distributed on their behalf by Lewis Business Media. The PRA is a trade body which represents independent fuel retailers and forecourt operators throughout the UK & Northern Ireland. Within membership it caters for single-site owners, small, medium and large size groups and Commission Operators. The newsletter is distributed to personal e-mail addresses of every member organisation, and then further distributed internally in each member company. The current fortnightly distribution is approximately 1750.